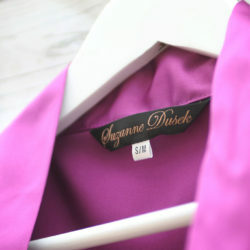 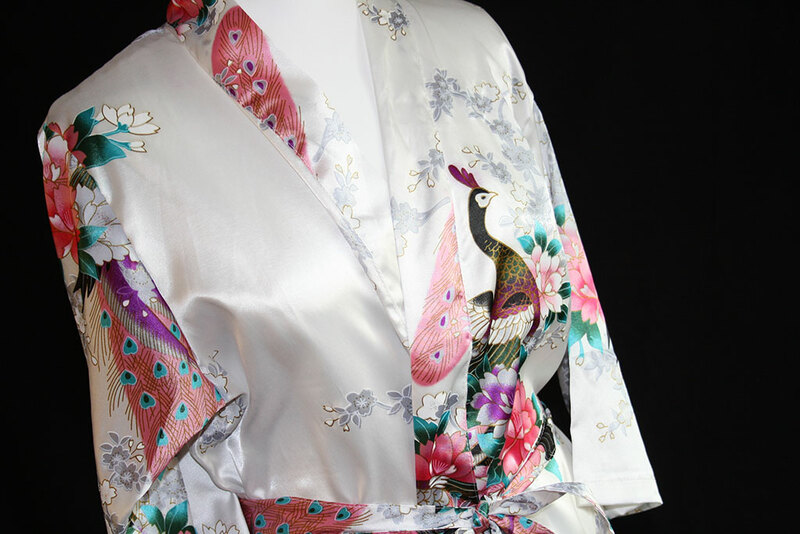 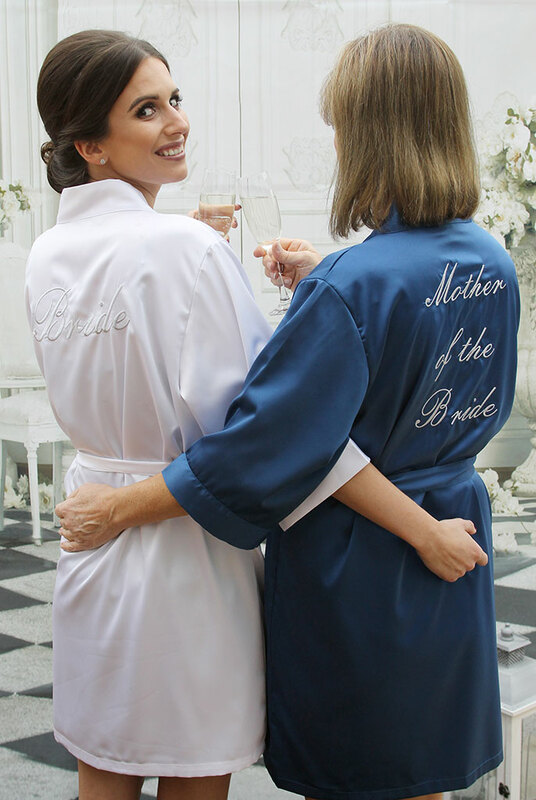 We are proud to supply our branded, luxury AND personalised wedding robes and occasion robes. 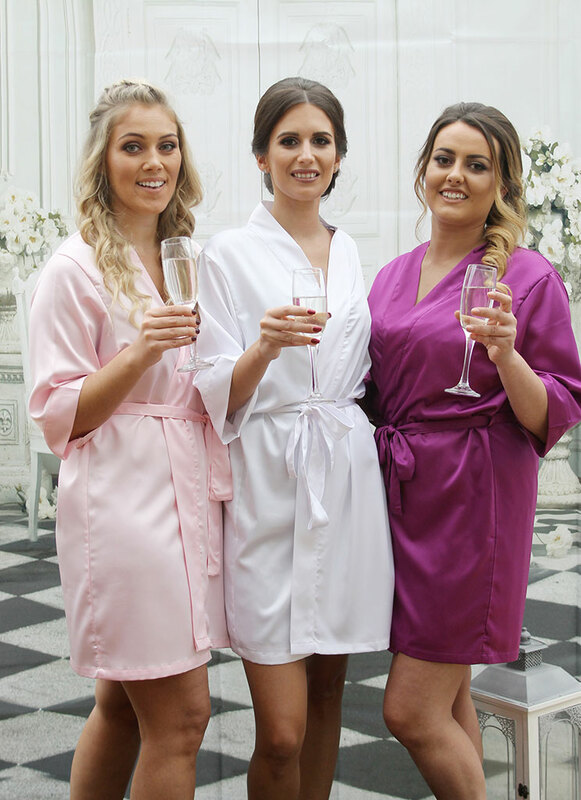 Our robes are affordable, luxurious and of a high quality which make them ideal for you all on your big day or special event! 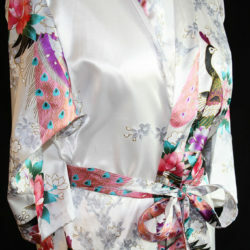 Pricing starts from £15.00 ranging to £25.00 per robe. 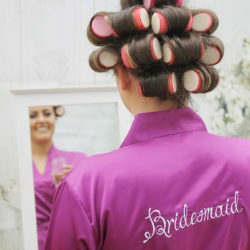 Ideal for Bridal Parties, Hen Parties, Special Birthdays or Events. 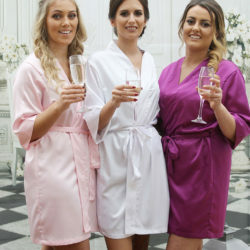 We currently offer the plain robes in 4 colours, White, Baby Pink, Purple and Navy Blue. 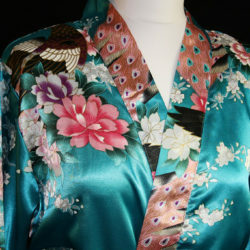 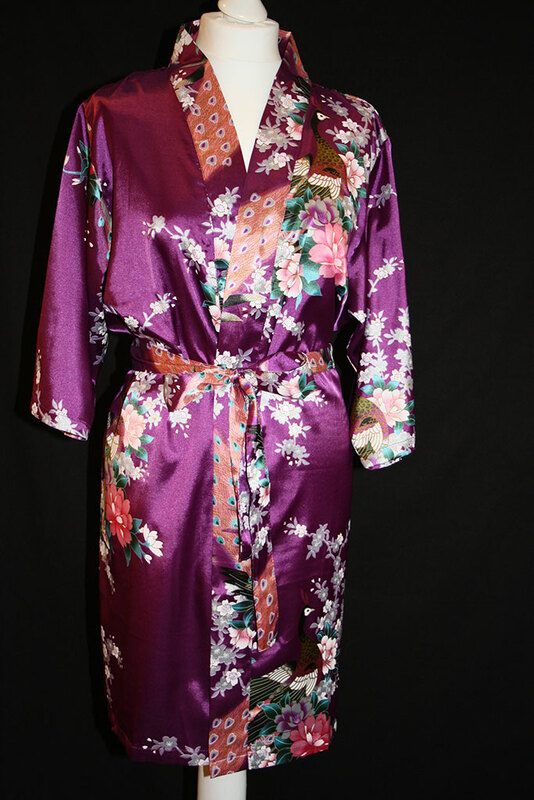 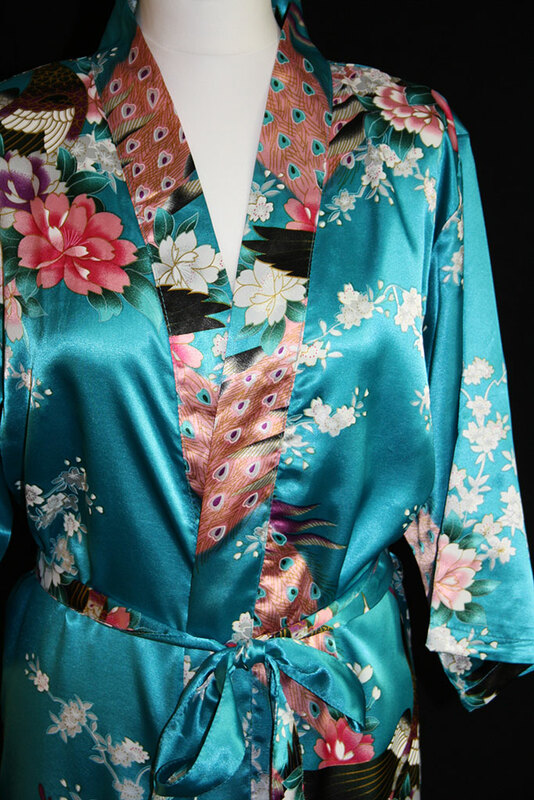 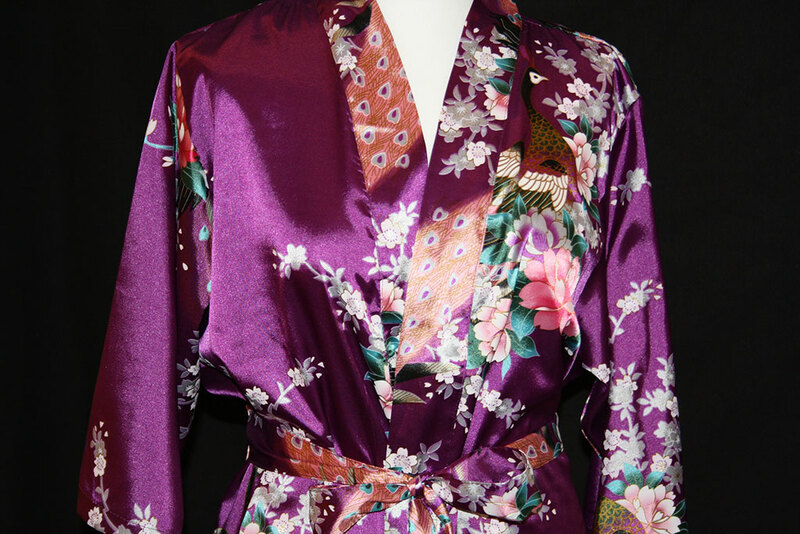 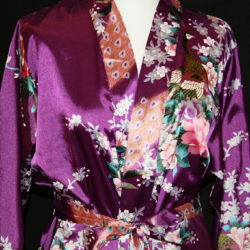 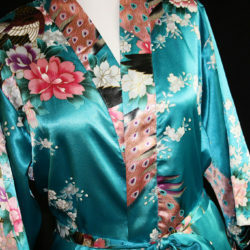 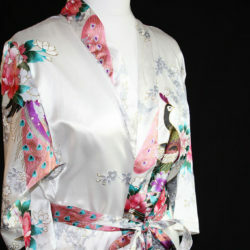 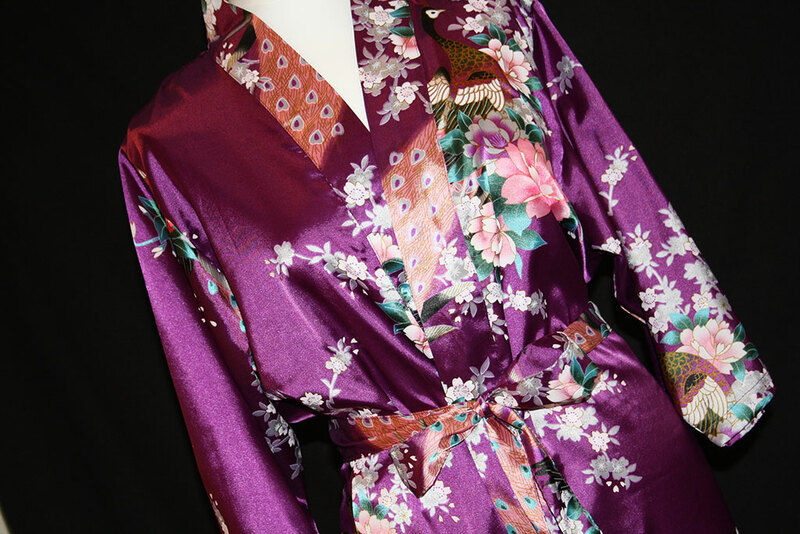 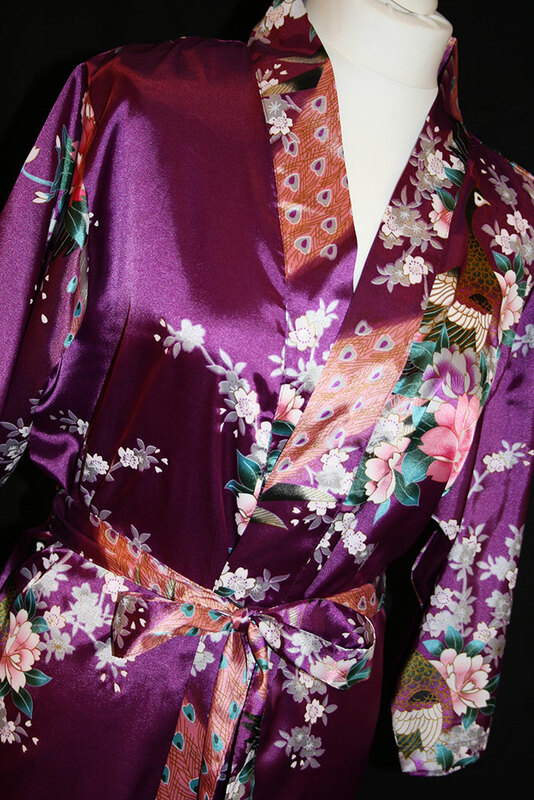 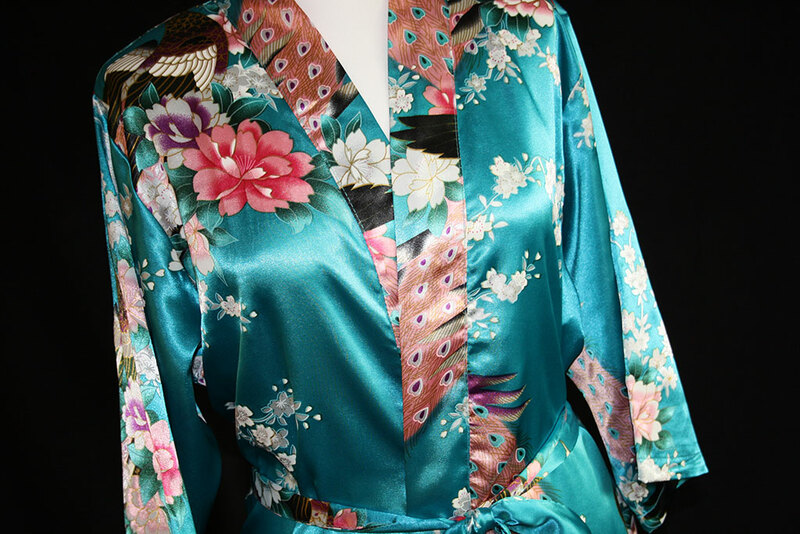 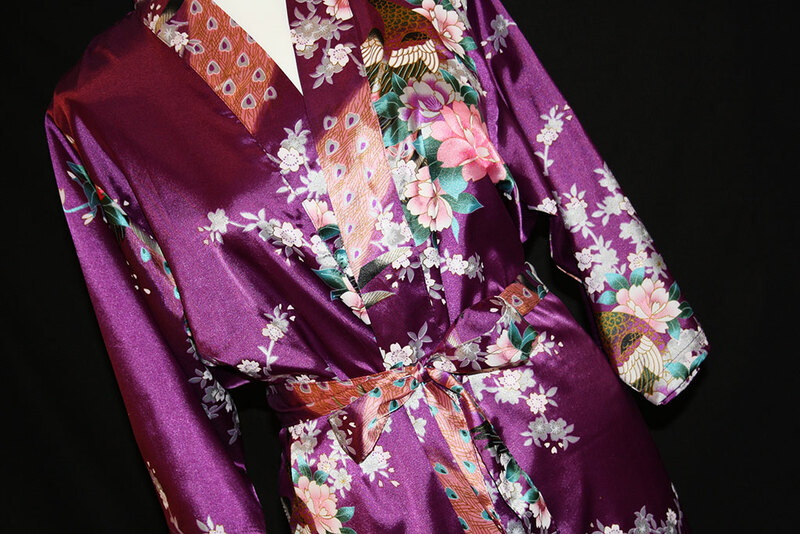 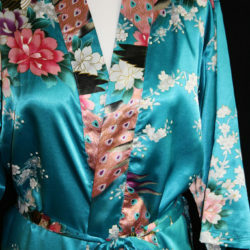 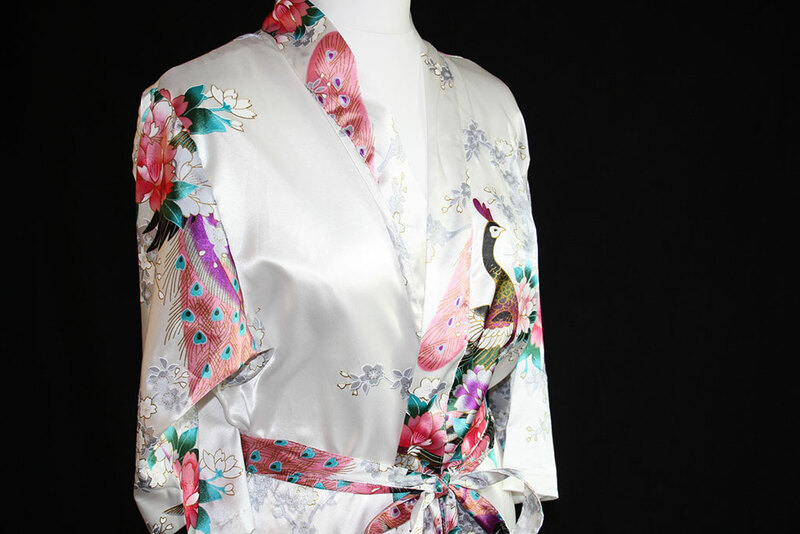 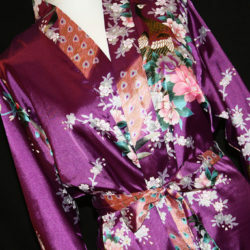 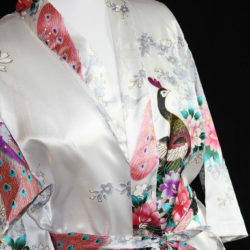 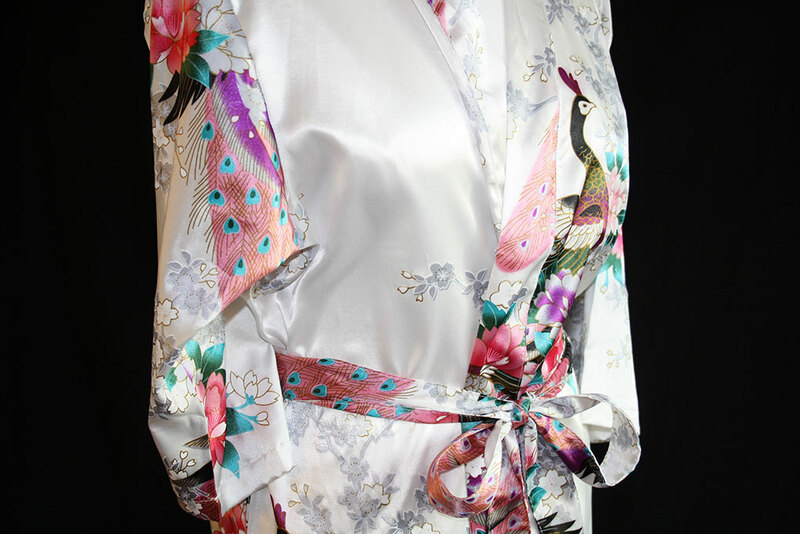 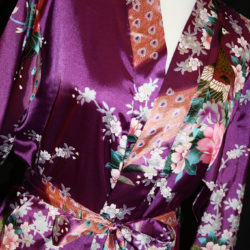 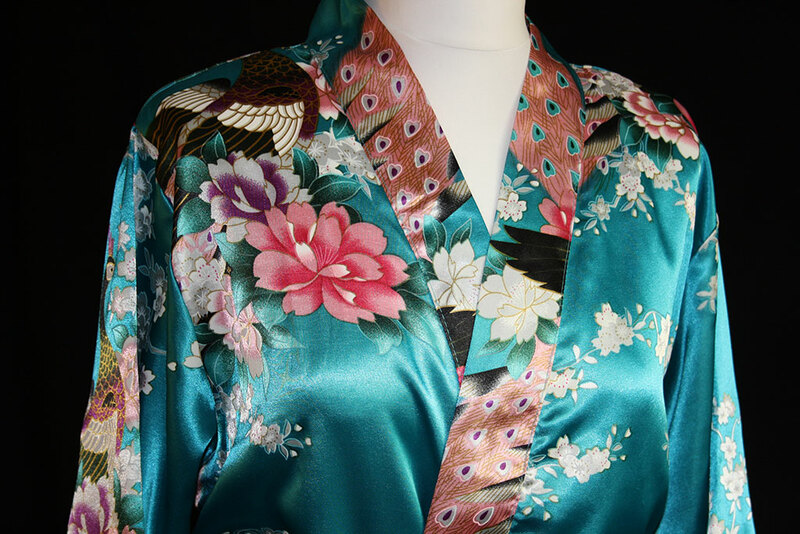 The patterned robes are offered in 3 different colours, White, Purple and Electric Blue. 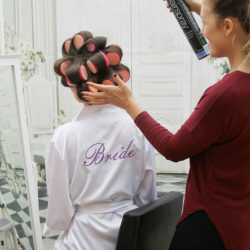 Do you want to make your pre wedding or occasion getting ready shots the best they can be? 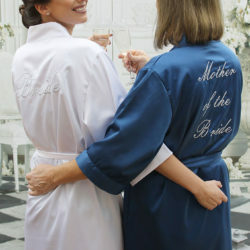 Then our robes are the perfect choice for the perfect picture. 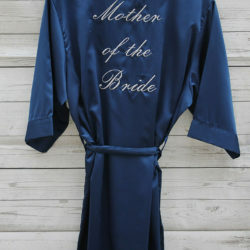 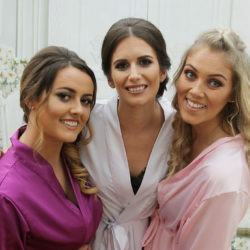 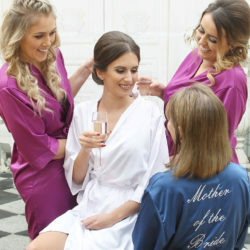 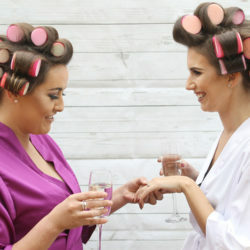 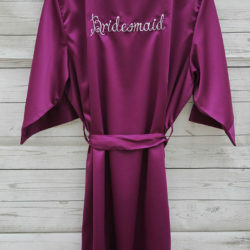 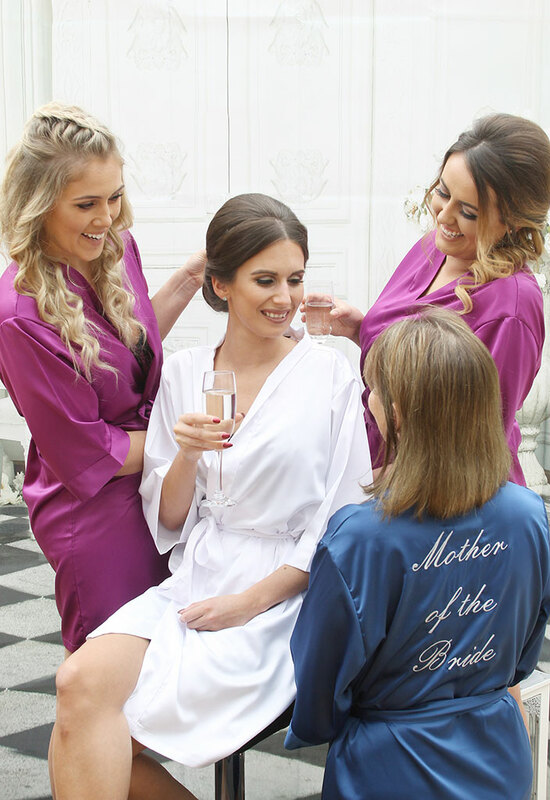 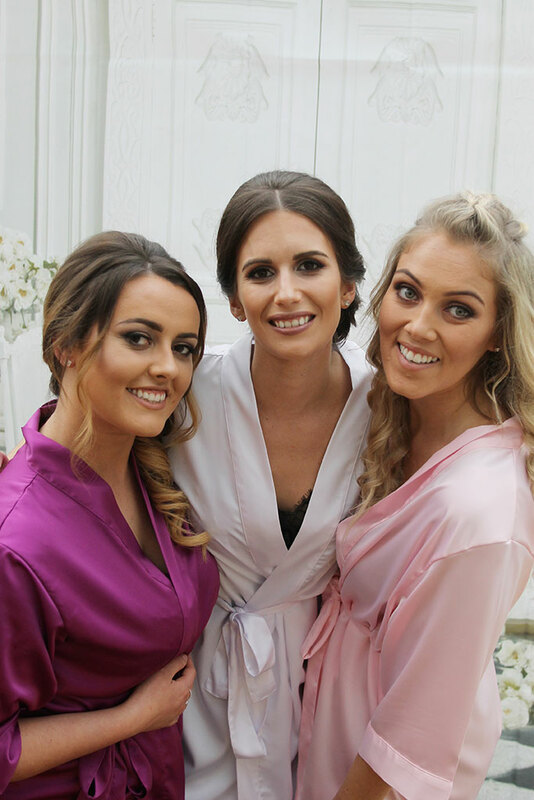 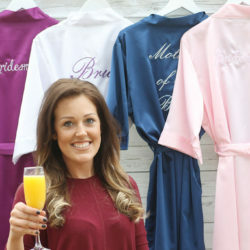 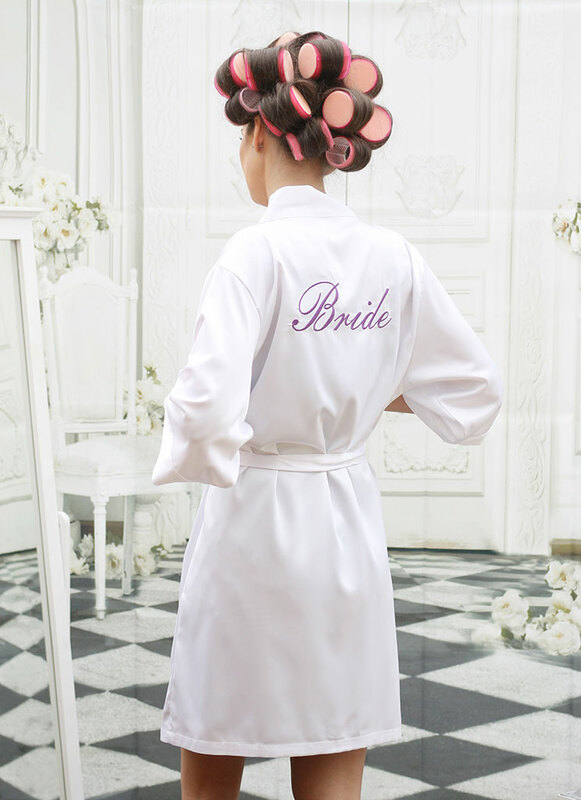 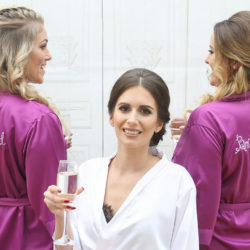 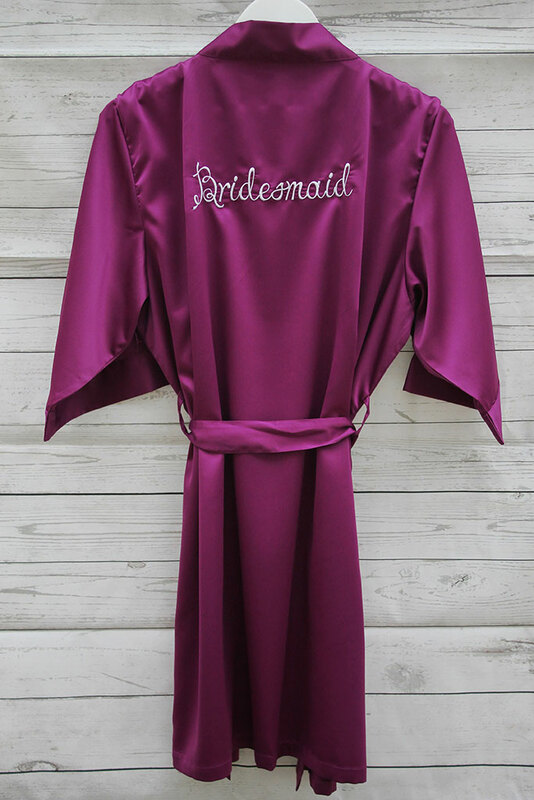 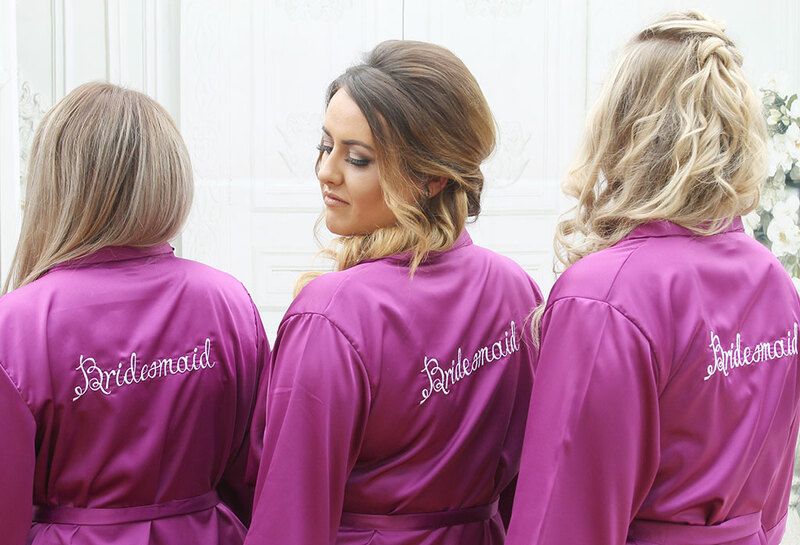 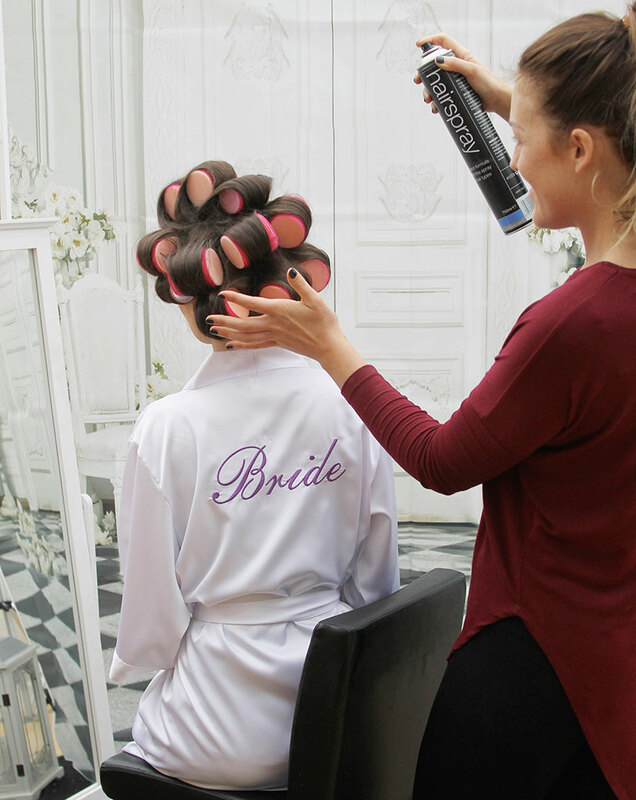 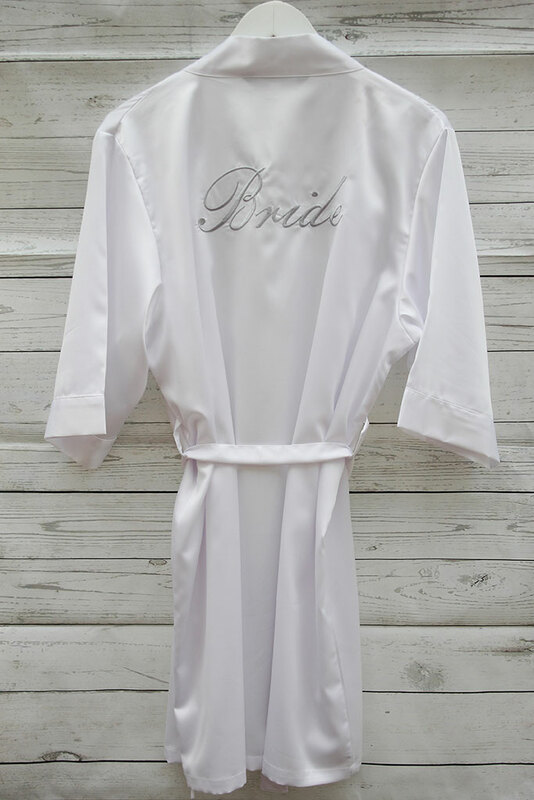 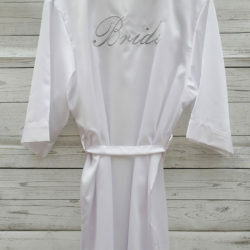 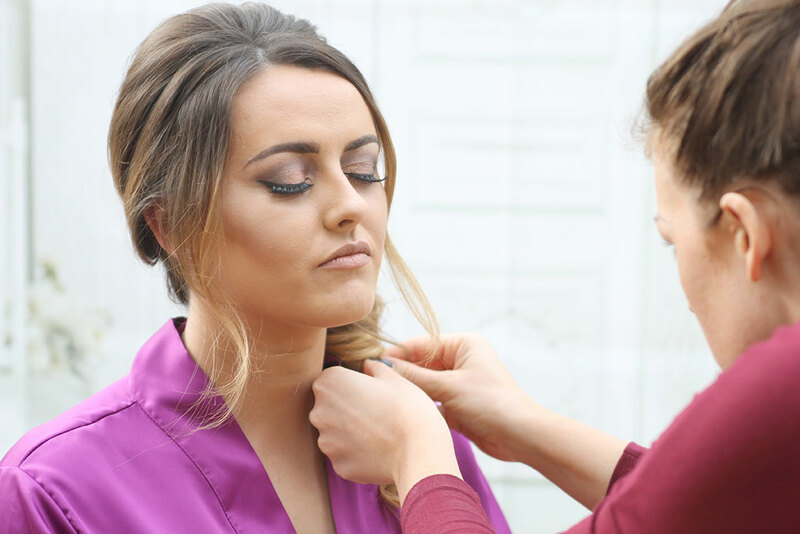 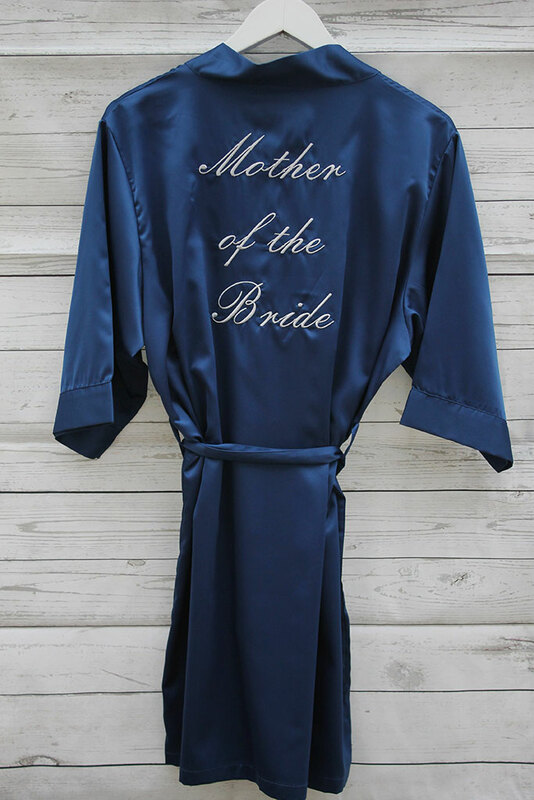 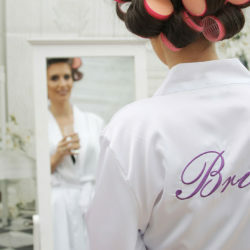 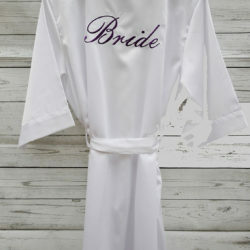 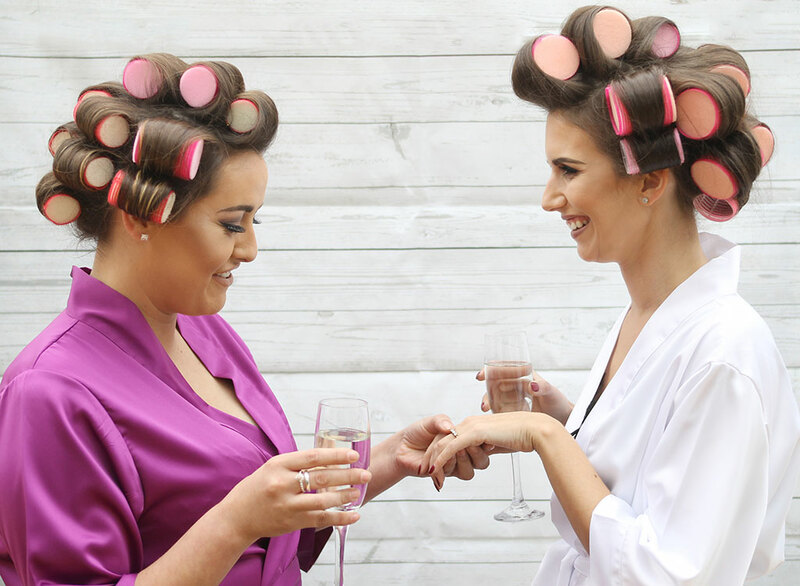 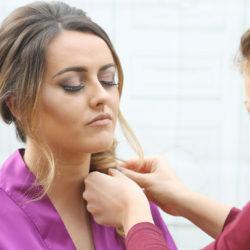 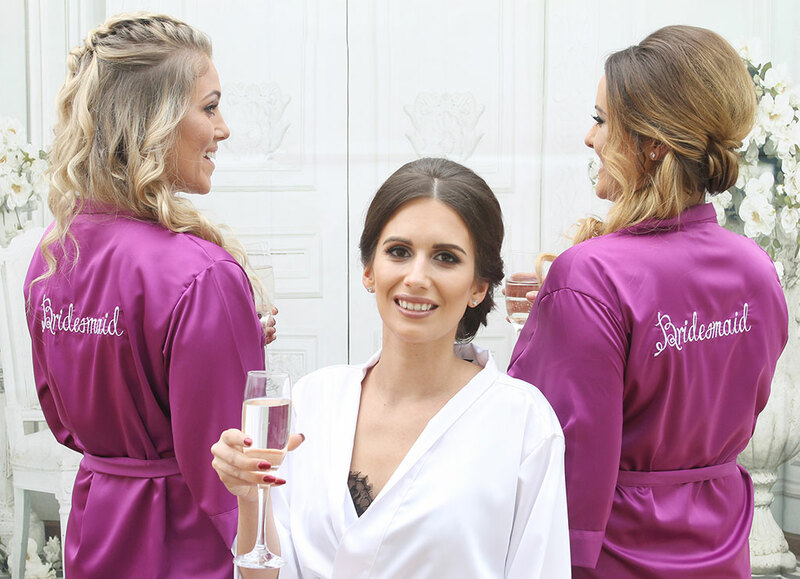 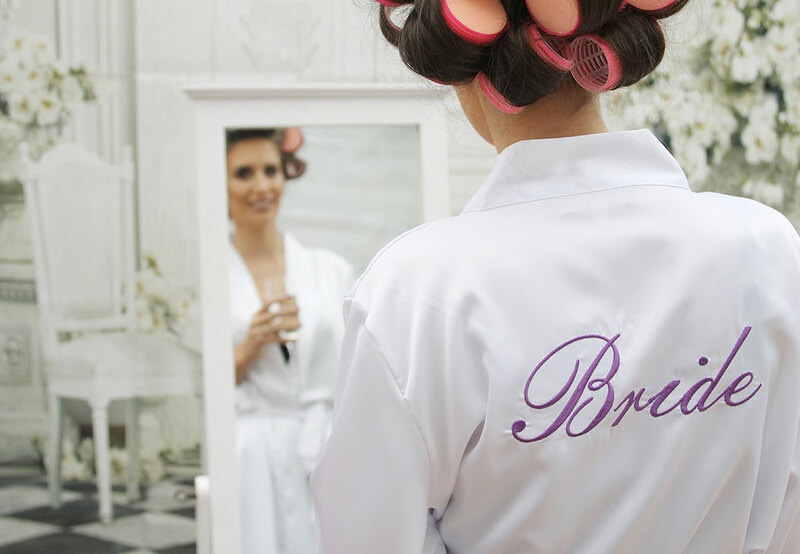 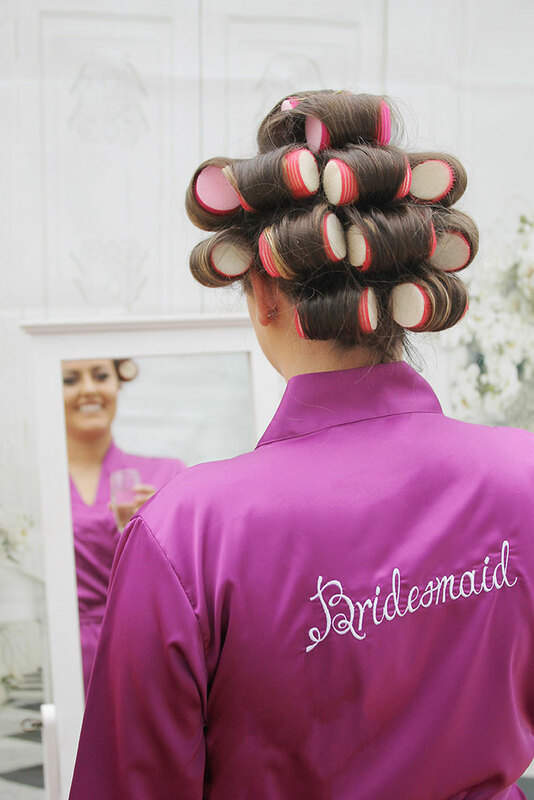 Our personalised bridal robe range are a popular gift to thank your bridesmaids and the other members of your bridal party for being part of your special day. 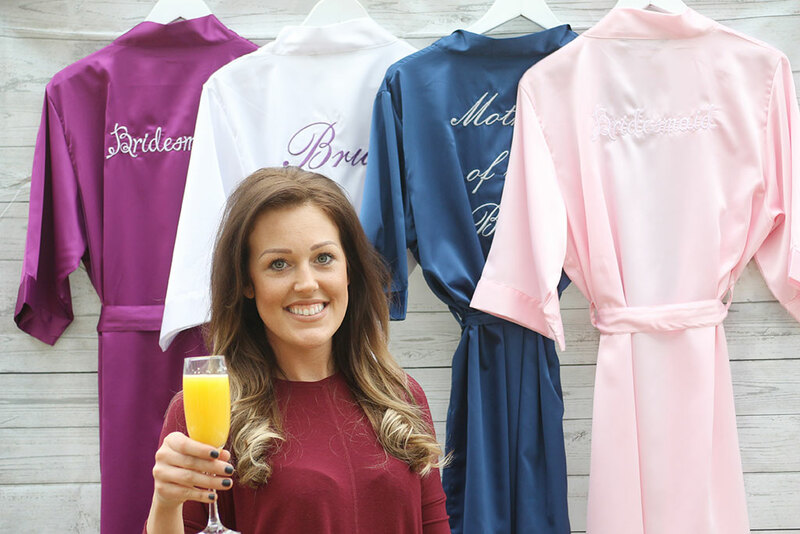 There are many options of personalisation, font and wording colours for the writing on the robes for you and your party to choose from. 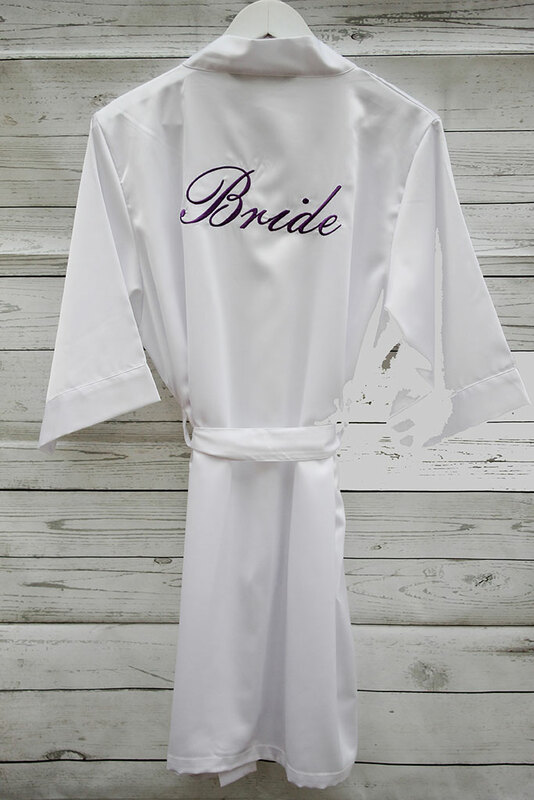 We do offer the robes in a standard classic font however you do have the choice of selecting your own font from the options provided below. 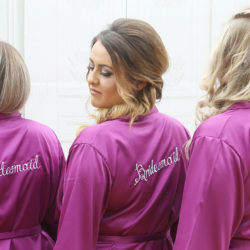 Additional wording is available at an extra cost for example, if you would like your name added to the front of the robe, or the date of your wedding/event this can be organised. 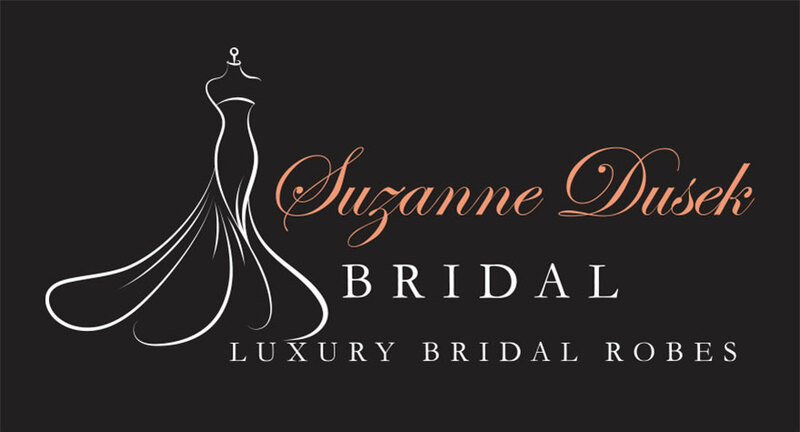 If you require a font or a design that is not listed above and you would like us to create for you, then please email us at suzannedusekmakeup@gmail.com and we will do our best to accommodate your request and discuss your requirements.